Animal rights groups are trying to get SeaWorld corporate to release necropsy reports on the 3 Orcas that have died under their supervision in the last few years, including one killer whale who died here at San Diego SeaWorld. The groups believe the Orca death reports need to be reviewed by independent experts which will allow them to analyze the clinical histories of these mammals and the treatments they received, the effectiveness of these treatments- not simply why they died. And the groups are doing this by suing the federal agency that has oversight over SeaWorld, the National Marine Fisheries Service, in the hopes that a favorable ruling would force SeaWorld to turn over reports related to the deaths of the Orcas. Filed in District Court in Washington, D.C., back around Thanksgiving, the lawsuit maintains that under the Marine Mammal Protection Act SeaWorld is required to turn over clinical history and necropsy reports to National Marine Fisheries when certain captive whales, porpoises or dolphins die. SeaWorld itself is not being sued. The groups that initiated the lawsuit include the Animal Welfare Institute, the Earth Island Institute and the PETA Foundation, and it represents the latest effort by advocates to gain access to necropsies that will help marine mammal researchers and others understand how to better care for Orcas in captivity and in the wild. The groups have been since 2017 pressuring the National Marine Fisheries Service and SeaWorld to release necropsy reports on the 2017 deaths of three Orcas: Kasatka, San Diego’s orca matriarch; Tilikum, the SeaWorld Orlando whale featured in the 2013 “Blackfish” documentary; and Kyara, a 3-month-old born at SeaWorld San Antonio. In 2017, SeaWorld reported that Kasatka was euthanized in August 2017 after years of treatment for lung disease; Tilikum’s cause of death was bacterial pneumonia; and Kyara’s cause of death was lung disease. Although SeaWorld ceased breeding Orcas back in 2015-16, its current population will live out the rest of their lives at the different aquatic parks. But the National Marine Fisheries Service claims the marine mammal act as amended does away with any requirement that SeaWorld submit the information on the deaths. Lori Weisberg at the Union-Tribune reports on SeaWorld Entertainment’s response. “We have provided information to the general public regarding causes of deaths for many animals, including those specifically called out in this lawsuit, and all records are regularly reviewed by USDA. 40 Orcas have died under SeaWorld’s watch. When the San Diego Orca, Kasatka, died, there was a vigil by the Friends of Orca near SeaWorld in mid-August, 2017. 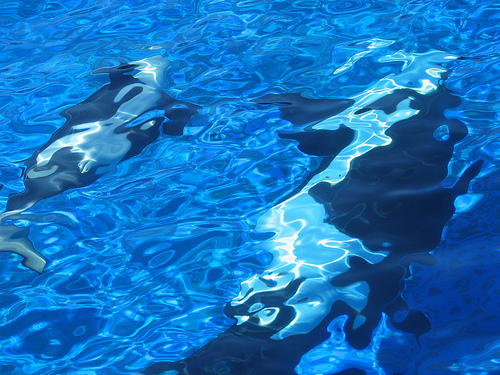 Each of Kasatka’s children is captive born. She gave birth to four offspring: Takara, Nakai, Kalia, and Makani. Nakai, born on September 1, 2001, is the first orca to be born as a result of artificial insemination. While his mother, Kasatka, lived in California, his father, Tilikum, was in Florida. Glad the Rag is covering this. Honestly, there is just one bottom line: Whether these marine mammals die of natural causes or whether they succumb to containment-induced infections, there is no question that they do not lead their natural life-cycles and behaviors when incarcerated in captivity! At this point, that’s just “Duh research”. How hard is that to fathom? NMFS, like so many other agencies these days, no longer has teeth. NOAA has also been rendered toothless. And USDA reviews all records?! And does what exactly? The sheer facts that it takes scientific research and an unholy number of lawsuits to stop these corporations from unethical practices, practices that should be just as obvious as one’s hand in front of one’s face, is a stunning example of how little we’ve traveled in our efforts to save rapidly dwindling populations of species from extinction. How fun will it it be, entertainment-wise, when we reach the point of the white rhino with these marine mammals? Oh wait! Nevermind, there’s another roller coaster on the way! No other organization does more for ocean wildlife than SeaWorld. The amount of wildlife rescues this organization has taken part in, and then rehabilitated and rereleased is incredible. Climate change is going to have a severe impact on the oceans and Seaworld has contributed so much knowledge on these amazing creatures. We and future generations will have the ability to efficiently aid in keeping their wild numbers up because of the scientific information Seaworld has gained. PETA & Netflix & CNN arent doing any real conservation work. Sharing necropsy information would be helpful to researchers, but villianizing SeaWorld is a foolish step in an unproductive direction. SeaWorld needs to keep to its rescue operations; instead it’s building thrill rides on public land, continuing to disturb whatever tranquility there is left in Mission Bay; there’s definitely a history of negligence towards the animals – see the film that forced SeaWorld to enact some reforms – and it really needs to place its remaining Orcas in saltwater pens to transition them; not to mention the fireworks and what they do to the animals and surrounding areas, and the pile of dung just off the shore at SeaWorld. Sorry Pasta, but I totally disagree! Organizations that actually do something for marine life can be found in entities like Ocean Conservancy, organizations that strive to actually protect the environments of these species, not capture and breed them and collect useless data on how they behave weirdly in small containers. 90% of the data collected in these artificial habitats is CYA to justify their captivity! The other 10% are data that could easily be collected in situ in the wild through observation of natural populations. As a marine scientist, I have yet to see the “so much knowledge” that Seaworld has contributed to anything, other than how to make a big profit through marine mammal performance, how to greenwash the public with justifications of “rehabilitation” and “husbandry”, and how to side step environmental regulations in sensitive nearshore habitat! Yes, Seaworld rescues sick animals from the wild and (sometimes) rehabs them to the point of release. Small kudos, but it is an incredibly small percentage when weighed against the damage they do environmentally (fireworks, shore hardscape, animal containment, mis-education of the public, useless swag and fluffy merchandise, and flagrant disregard for mammal cruelty). I ask you, just what is educational about a polar bear in San Diego? Sharing necropsy information on the death of these large mammals in captivity is only useful in the context of artificiality and, of course, legality. It sheds virtually no light on on how the species persists and sustains itself in the wild. It sheds only negative confirmation that incarceration and container effects result in the unnatural demise of these organisms. How useful is that? Really. We need to get a reality grip here. Seaworld is a theme park, like Legoland or Disney. To paint itself as anything else is pure chicanery. If it wants to be a theme park, fine. Feel free. But not at the expense of our nearshore environment, not at the expense of hoodwinking the public. And certainly not at the expense of these beautiful species that deserve, at the very least, to live out the rest of their life cycle as they were meant to. On the other hand, if Seaworld wanted to move into an different direction and actually become a wildlife sanctuary, actually work to conserve marine environments, actually contribute to ocean conservancy, they have millions and millions of dollars of resources to do that. But that isn’t where they’re going. The park is owned by the City of San Diego and operated by SeaWorld Entertainment. Wouldn’t it be reasonable to convert the theme park into, possibly, a K-12 college prep school with with emphasis on the environment. Children could learn from early ages more intensively about the natural environment (along with the three Rs)… sort of an environmental incubator. Could bring additional tech interest, too! Heck, Scripps is just up the road a spell. Might be a good mix. As it stands, and I’ve mentioned this before, the existing Sea World has all the visual appeal of a drive along Alameda Street in Wilmington, CA.